When we look at the data from the world championship in natural sciences, Serbia has won 532 medals so far. Serbia has the smartest youth in the world, said American mathematician David Loren visiting the CNN TV network. He said that the Serbian students are so smart that they dominate literally in all competitions. – If we look at the situation, the conditions in the number of citizens, Serbia represents the pinnacle of education, because of the percentage of success of their students is enormous. The achievement that Serbian mathematicians accomplished all over the world is fantastic! That just shows that the youth in Serbia is the smartest in the world – Loren said on CNN. What he added, and what may not be good for us, and certainly is for the West, is the fact that Serbia often exports its brains. – These geniuses continue their schooling mostly in America and other developed countries, where they stay to live and work, and them many others brag about their successes – Loren said. When we look at the data from the world championship in natural sciences, Serbia has won 532 medals so far. 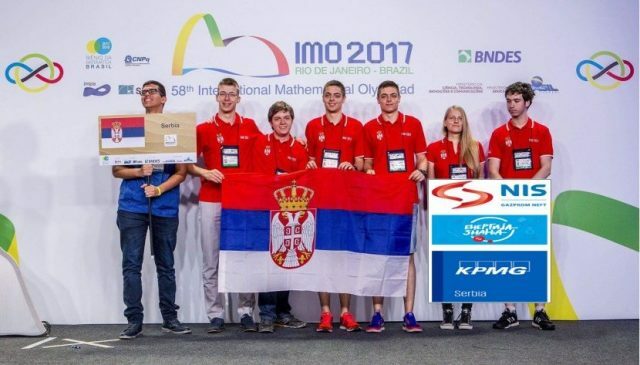 Those were mostly won by students of the Mathematical Gymnasium from Belgrade. Since 2010, the students of this school have won over a hundred medals in the competitions all around the world. The principal of Mathematical Gymnasium Srdjan Ognjanovic says he is proud of his generation who passed through the school because they are the best ambassadors of Serbia, better than any official ambassador that the country installs. – But we certainly didn’t end up on CNN in the analysis of the mathematician Loren by accident. Serbia was always a respectable, prominent and recognized competitor in all international competitions and we almost always come back with medals. We are very well known in the scientific circles, and Serbia should be proud of that.